Great weather for the 2019 edition. This crew is ready to go!!! Thanks for a great 2019 run! See you in 2020! WHAT IS THE WINTAH CHALLENGE? It’s an SRR winter tradition that falls shortly after the start of the new year. 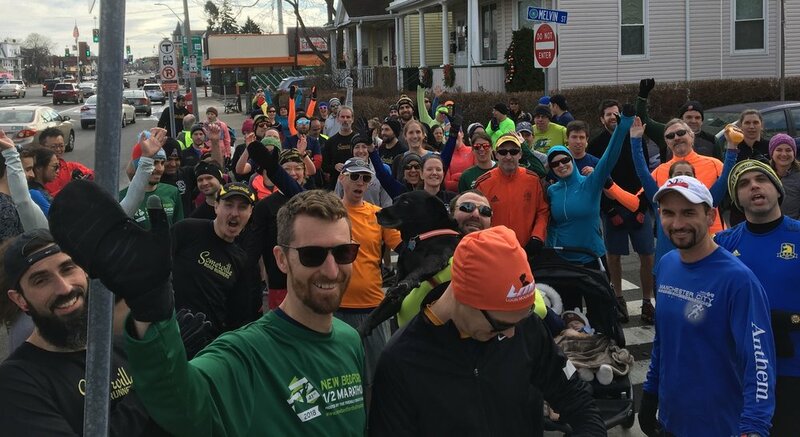 Run the Casey’s 4.06 mile course then stick around for free breakfast, a complimentary macro-brew, amazing awards, trivia, and NFL Division playoff action! Tentative 2020 Date: Sunday, January 12 @ 11:00 a.m. The Run: Your beloved Thursday night 4.06 mile course boasting sprawling urban vistas. Please note that this is a "fun run", and there will be no official traffic control and minimal course support. To spare our volunteer course support and unpaid timing company from unsightly frostbite, timing operations will cease at 12:00pm sharp. If you need more time, please don’t let that stop you from coming out. Costumes: Rarely worn, always encouraged! Registration details will be available in mid-December. Registering early helps us plan for food and beer, and expedites our amazing awards process. And it’s risk free! If you don’t plan to run, but still want to be part of the madness, please volunteer. We need 12 people for course support and a sweep or two.